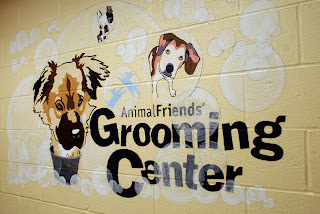 Animal Friends: Grooming and other "paw"istively great ideas for spring! 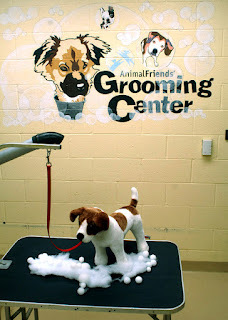 Grooming and other "paw"istively great ideas for spring! Does the thought of spring put a "spring" in your step? Perhaps sunny days and blooming flowers are something to look forward to but what about opening the windows, dusting the shelves and cleaning out those closets? Fido surely needs a little sprucing up too. Just don't have the time? Let us do the work! 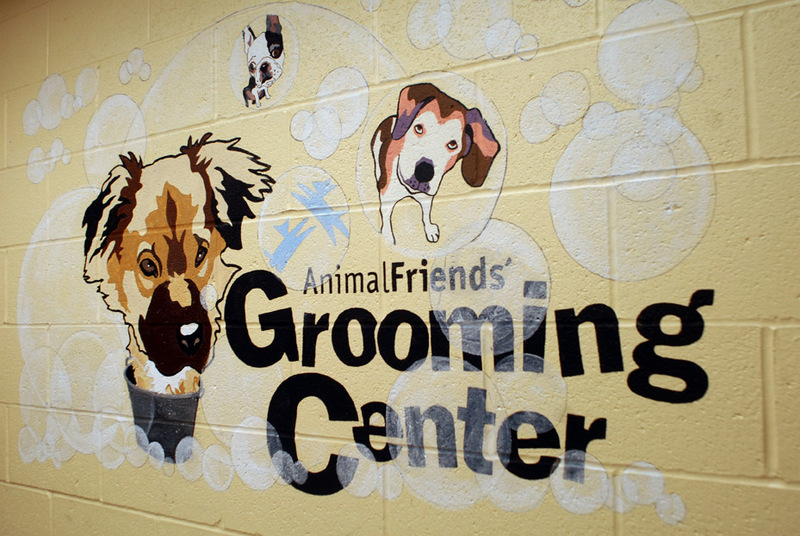 Twice per month, Animal Friends offers a Dogwash spa treatment for a $25 donation. Your pet receives a bath and blow dry in our freshly painted and redecorated (see? We've been doing some Spring Cleaning too!) Grooming Center, their nails trimmed (if they let us!) and an ear cleaning. Unfortunately, we cannot provide trims or hair cuts. Appointments are scheduled every 1/2 hour, and each dog receives all the services that fit within the 1 hour window. Please stick around during your pet's appointment as we do not have space to keep your dog until you return. Come to Animal Friends and leave the cleaning to us! PS- Sorry, we can't come wash your windows or cut your grass.